Compact full range speaker, subwoofer and amplifier perfectly matched to each other and in combination provide a top-quality performance. Considering the dimensions and price, they are simply fascinating. The devices of the CLUB series (consisting of amplifier, cabinet speakers and subwoofer) provide unique possibilities, whether applied individually or together with other PA products of highest quality. The perfect central power unit for various PA systems capable of high volumes. Ideally suited for clubs and lounges, trendy bars and restaurants, PA applications in function rooms, music pubs, dancing schools, gyms with exercise rooms, etc. The 3-channel concept of extra high power capability with variable frequency filters and various connecting facilities allows for a variety of different system concepts. This central power amplifier suits various PA systems and is capable of high volume and good quality. Ideally suited for clubs and lounges, bars and restaurants, PA applications in function rooms, music pubs, dancing schools, gyms with exercise rooms, etc. 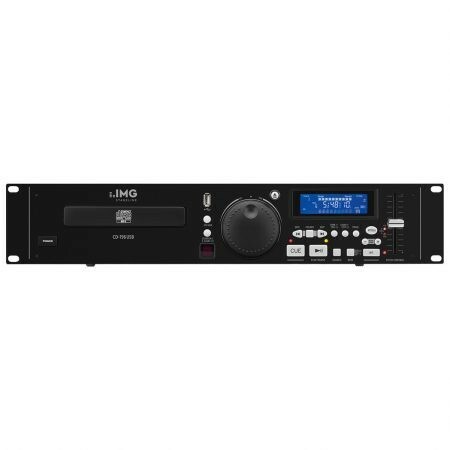 The 3-channel amplifier concept with extra high power capability, variable frequency filters and various connecting facilities allows for a variety of different system setup. The shape and size of the CLUB-1TOP are designed in such a way that the ambience of the location ist still maintained even in larger rooms with a decentralised arrangement of several speakers for acoustic reasons. For driving the system, an amplifier STA-1603CLUB is perfectly suitable at which 1, 2, 4 or even 8 CLUB-1TOP speakers can be operated per mid-high range channel (4 or 8 in corresponding series/parallel circuits). The power capability of the amplifier is quite high when connecting one or two speakers, but the volume capability of the speakers is still almost fully utilised when connecting 8 speakers.